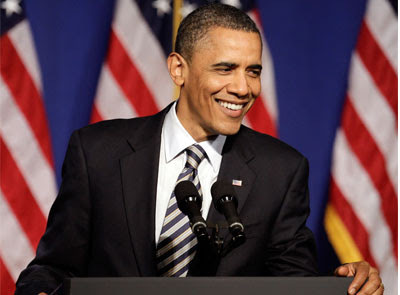 Less than 48 hours ago, President Barack Obama was re-elected for a second term as our Commander and Chief. What a Historic Event!! Who would have thought we’d see a black man occupy the most powerful seat in these America’s not once, but twice? Many of us are very happy and excited about this momentous occurrence as we should be… There were numerous hours put into making this election a success along with lots of hard working individual pulling together to make President Obama’s re-election possible. This election is a testament to there being “Power in Numbers and Strength in Organizing.” Teamwork TRULY Made this Dream Work… And "Our Young People" put the icing on the cake although it took everybody doing their part to ensure FOUR MORE YEARS of Mr. Obama’s Presidency in the White House. What does this tell us? YOUR VOICE MATTERS… President Obama said it best, "Don’t ever believe your vote doesn’t matter. Don’t ever let anyone tell you your voice can’t make a difference." THE PEOPLE HAVE SPOKEN!!! As we move forward into the next term of President Obama’s leadership, we as individuals and communities collectively can’t fall asleep and think that because he’s in the White House for another term, that we can just kickback now… NO. Keep in mind, there were many who weren’t jubilant about the final outcome. The naysayers who insisted on President Obama not having a second term in the White House are not going to just sit back... They’re probably somewhere discussing a comeback as we speak! Needless to say, no matter what their agenda is; WE should be putting together a plan of action to keep this momentum going and implementing it ASAP! WE as a Community will have to step our game up even more, KEEP OUR PRESIDENT and HIS FAMILY IN PRAYER and CONTINUE TO STAND UNITED AS ONE!!! Yes you do matter..My elderly neighbor who is 88 years old voted by mail. She told me that she never thought that she would see a black president in the white house.I just wish that all of you could have seen the smile on her face or the big hug she gave me after he won. My mom past away 1996 and I am sure she thought the same way as my elderly neighbor. I am 57 years old and a lot of things have changed for the better however a lot remains the same. I can remember when people of color could not go to the front doors of McDonalds. You would have to go to the back door. Let me tell you we ate a lot of good homemade food home, which was more nutritious then the fast food. However as a child I could not understand why. We also could not go to a white church or vice versa until the segregation laws past. I was about 16 years old at that time. I could share a lot more of my experiences if I had the time or the space. People of color we need to use or voices when we see wrong. Do not shrink back but press forward until you right the wrong. Thanks for Sharing Your Story... WE Do Have to Continue to Press Forward as a People! l like to thank those who when out and voted. Here in Florida after the election they was still counting votes ,this is the second time Florida has done this.If they had to rely on us there might have been some changes (Na Mean ) On the 11 day of Nov we found out Obama won here in Florida. So it does MATTER that YOU VOTED ! Thank you.